The newly built Shafton Learning Centre in Barnsley is a merger of Priory School and Sports Centre and Willowgarth Highschool. Part of the Barnsley building schools for the future programme, it accommodates 1400 full time pupils as well providing sports facilities through its specialist sports college. 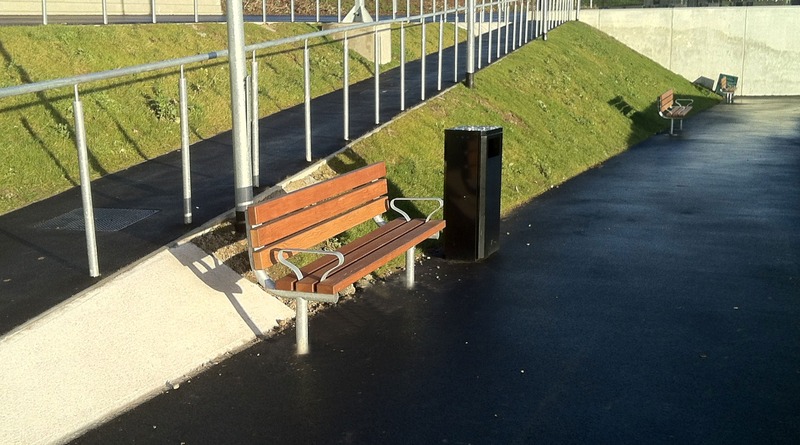 As part of the development, a complete external furniture package was required for the school outdoor communal and social areas, as well as cycle storage and bollards for parking areas. Bailey Streetscene were approached to propose a package that would fit with and enhance the Architects’ scheme. In particular, an elevated courtyard with suspended floor level with waterproofing membrane presented difficulties as it required functional furniture that could be sectional disassembled and reassembled to aid the process of transit to the area. Bailey Streetscene worked closely with the Architect and main contractor in the early design consultation and throughout the project to ensure that the external street furniture installed perfectly matched and complemented the overall scheme.